Satisfy your desire to explore new places, discover different cultures and immerse yourself in new experiences. 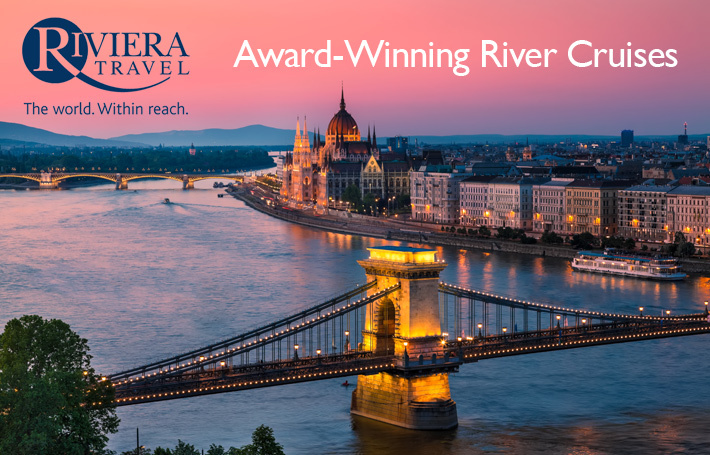 Riviera Travel’s award-winning tours provide more than a holiday – they take you to the most exciting destinations where you’ll uncover insights into the lives, histories and cultures of the people who call them home. Their prices are competitive and include return flights or train travel, transfers, fascinating excursions and the services of a Riviera Travel tour manager. There are no hidden costs or surcharges, inflated prices or artificial discounts, guaranteed, so anytime is the best time to book. Riviera Travel go out of their way to ensure every customer has an exceptional experience. Many of their customers have continued to travel with them since their inception – in fact, 95% of them have said they would travel with Riviera Travel again.